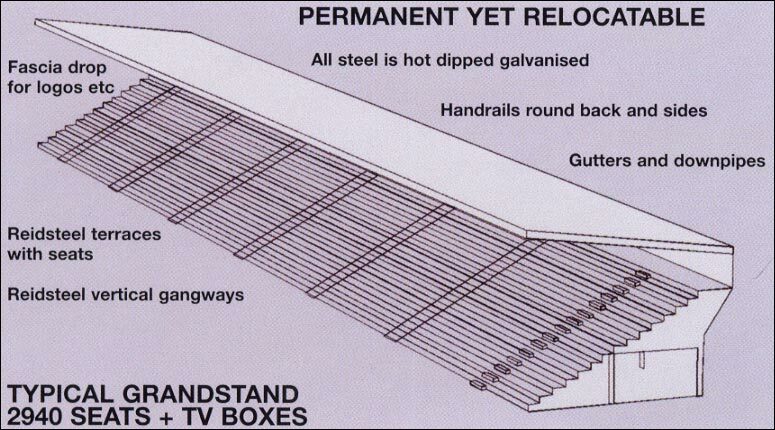 REIDsteel grandstands are designed to resist all hurricane and seismic forces. They are fitted with comfortable U.V. resistant tip-up seats. They are designed as permanent for low maintenance. ; yet they are completely relocatable if required. You could build them for cricket and if you wish relocate them to your football stadium. 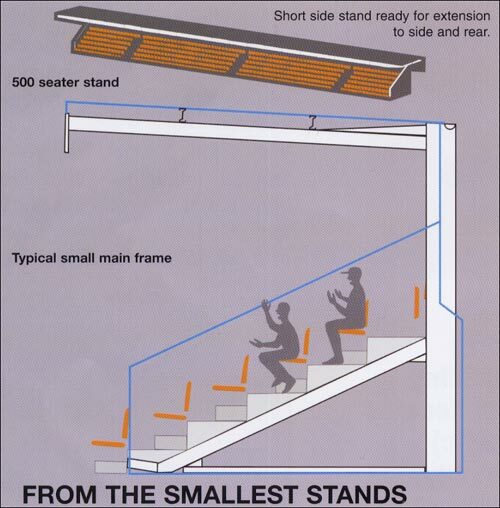 They can be as small as 250 seats or as large as 15,000. We offer a wide range of lengths including 100m side stands and 71m end stands for football, but all configurations and seat numbers can be achieved.